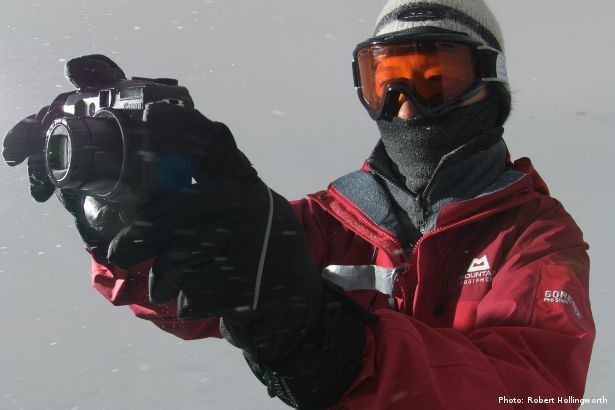 If you’re travelling or on an expedition, it’s surprising how quickly your bag can fill up with technological gizmos: camera, mobile phone, video camera, AA and AAA batteries, perhaps a laptop, MP3 player or Kindle too. Worse still is lugging around all of the different chargers and cables, and working out which is which when you rummage through your rucksack/pannier/tent. 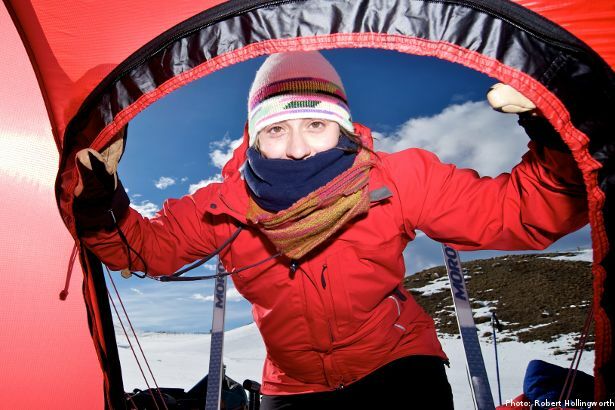 From organising my own expeditions, sorting comms requirements from the Arctic to the Himalayas for 50-man teams with the British Schools Exploring Society, and helping on Sarah Outen’s journey around the world, I’ve come across a few handy bits of kit. This is a fantastic bit if kit that can charge pretty much any small battery, whatever shape or design. You can adjust the size of the charger and the position of the positive and negative contacts to fit the battery you want to charge. 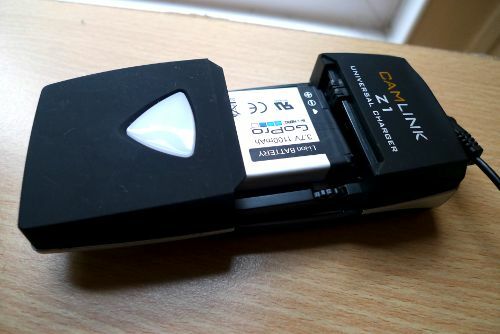 So, as well AA and AAA batteries, you can take the battery out of your digital camera, smartphone or video camera and stick it in the Z1. Why? Because it means that you can take a single charger to power most or all of your gadgets, and save carrying around half a dozen different adaptors. An added bonus is that you can leave a battery charging unattended in a hostel/restaurant without leaving the expensive phone/camera with it. 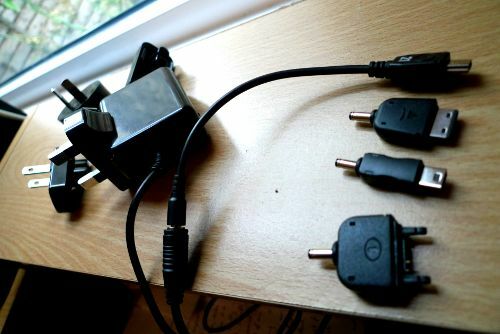 The company Gomadic produce a range of chargers with changeable ‘tips’ that fit different devices. So, if you’re going away and have, say, an iPhone, a GoPro camera and an MP3 player, you can just take one of their chargers with one cable and three different tips. They have wall chargers, cigarette car chargers (often useful for solar panels) and double chargers (that’s one charger with two cables coming out). The batteries that come with many solar panels can actually be useful middle men for charging mulitple devices because they tend to come with a plethora of different outputs and connectors. As a result, you can plug the battery into the wall/car/solar panel and then use it to charge whatever gadget you want. Bigger, heavier and more expensive than the above, this battery stores a much greater charge and can be used to power a laptop. I’ve never used one myself. They go for £150. This is probably the ultimate expedition battery. 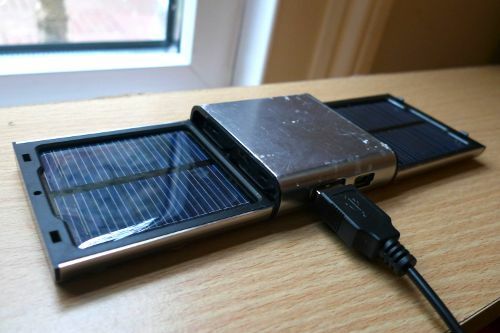 Lighter than the PowerGorilla, designed to work with solar panels and with enough power for laptops. US$339 (that’s about £220 at the moment). Got a question about electronics and charging on expedition? Could you recommend any other useful bits of kit? Add your thoughts in the comments section below. 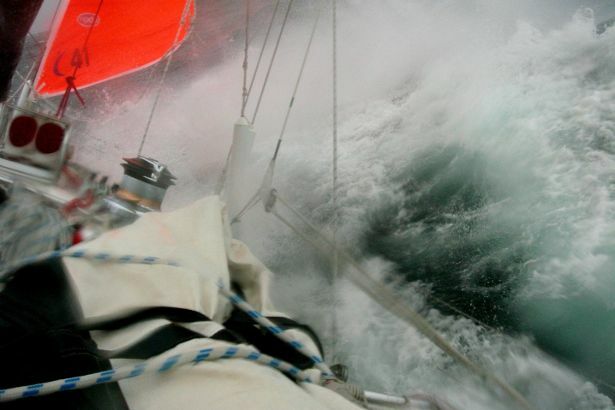 What Actually Happens When a Boat Gets Caught in a Storm? Sorry Ben. I’ve been away but will get them sorted tonight. What is your take on the Anker 21 Powerport USB charger ? I am based out of the US and Anker products are quite popular here. Hi Trisk, I’ve not used the Anker 21. It looks like the right sort of design though (i.e. large surface area) with a small enough size and weight for carrying around. It’s cheap for a solar panel of that size and power which would normally ring alarm bells but they have so many good reviews on Amazon and elsewhere that I’d say for the price, it would probably be a pretty safe bet. Thanks for this informative posts. I need a travel charger that could power a laptop and had my eyes on the PowerGorilla. Now that you haven’t tested it yourself, I was just asking how effective a solar charger is. I have never used one myself and I always think it would take days to charge it fully especially when the sun isn’t shining very bright. In your opinion are solar chargers they more effective than power banks? The first thing to highlight is that, even if you have a solar panel, I would recommend using a separate battery from your laptop. In other words, don’t plug the solar panel into your laptop, plug it into a separate battery. The power generated from a solar panel fluctuates significantly (e.g. when the sun goes behind a cloud). It can’t usually be relied upon to ‘run’ a laptop and can even end up draining a device’s battery. As such, you would probably want to carry both a solar panel and a power bank. You mentioned the PowerGorilla (power pack) so, in your case, that would mean also getting the SolarGorilla (solar panel). As you said, I’ve not tried those products myself. However, I suspect it would take a very long time to fully charge the PowerGorilla using the SolarGorilla panel. If you were at a static camp in a desert, then I could imagine it might charge in a day. If you were moving around and anywhere that wasn’t sunny all day, I am not sure it would be worth it. P.S. I notice that you’ve linked to your ‘Gadget Reviews’ website. Do let me know if you end up reviewing any of these gadgets yourself. If I buy or review the device, I’ll let you know immediately.